HITS » Week II is a Wrap at HITS-on-the-Hudson! Week II is a Wrap at HITS-on-the-Hudson! 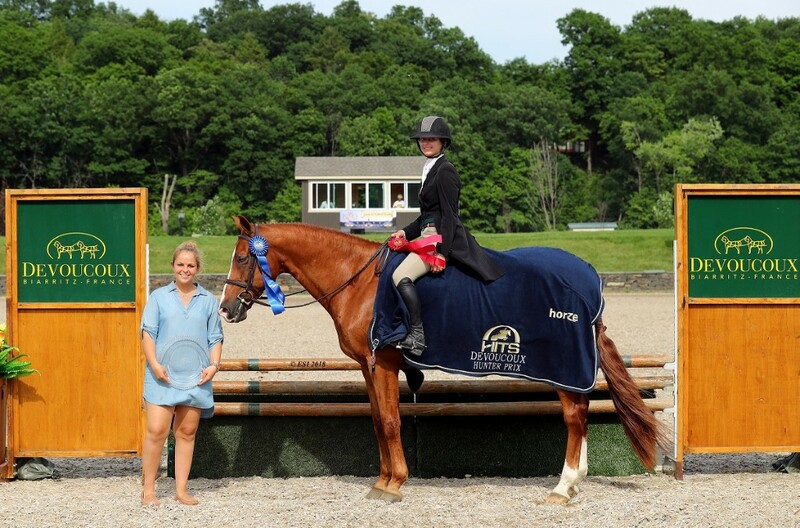 Exhibitors joined us for another successful week of show jumping competition in the heart of the Hudson Valley for Week II of the HITS-on-the-Hudson Circuit. 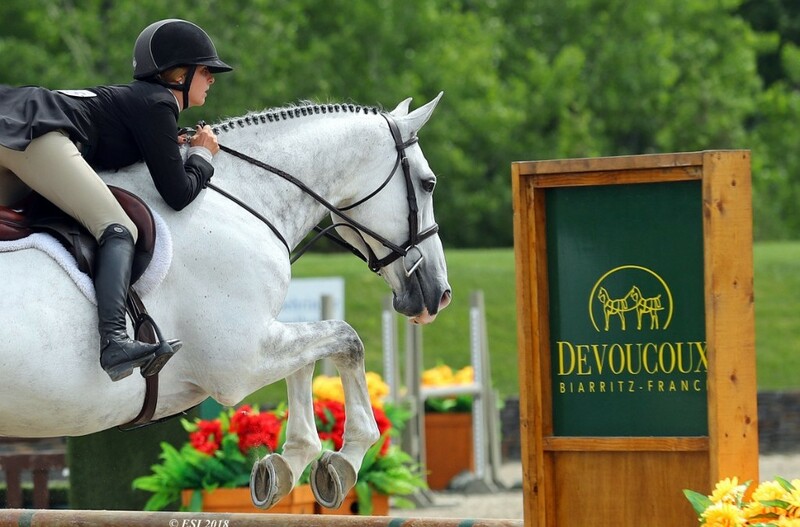 Exhibitors rode their hearts out to secure top placings in featured hunter and jumper classes. Kicking off the week with a blue ribbon in the Johnson Horse Transportation Open Welcome was Pablo Mejia and RL REAL LOVE, topping the field in a time of 39.091.Candice King and CAS followed in second in a time of 42.614, with Agatha D’Ambra and CA VA BIEN taking home the third place ribbon in a time of 45.521. Riding home with the fourth place ribbon was Michael Desiderio and AMINKA with an eight-fault time of 38.979. Reserving the fifth place ribbon was Cassandra Kahle and EPEIOS. Pablo Mejia and RL REAL LOVE take home top honors in the Johnson Horse Transportation Open Welcome. 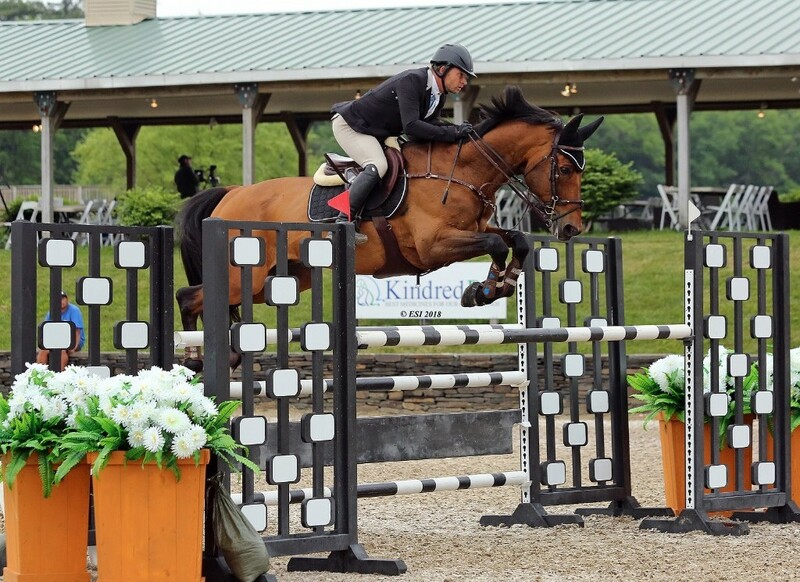 We welcomed riders back to the Grand Prix Ring on Thursday for the $10,000 KindredBio Jumper Classic. Alberto Michan would ride home with the win aboard his partner REDMOND in a time of 39.014. Kevin Mealiff and UNDIAMS DE VARENNE would secure the second place position in a time of 40.386. Kahle would take home two of the top spots in the Classic on Thursday, placing third aboard EPEIOS in a time of 41.753, and finishing fifth with PYRENES DE LOUZES. Lincoln Russell would land in the fourth place position aboard GAVERDI Z in a time of 44.080. 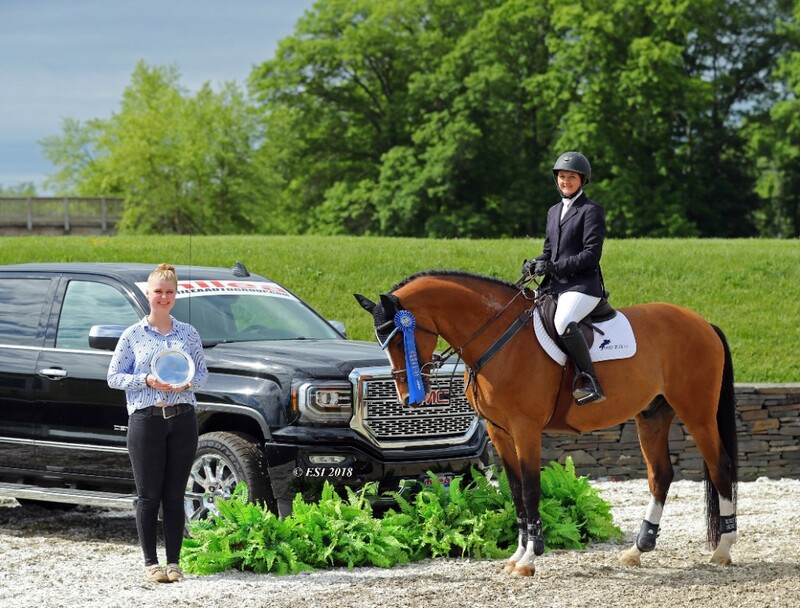 The first of two Grand Prix at HITS-on-the-Hudson II took place Friday afternoon, with Michan and REDMOND taking home their second win of the week, this time in the $25,000 SmartPak Grand Prix. This dynamic duo took the lead by over two seconds, racing to the finish line in a time of 39.461. Kevin Babington joined us in the winner’s circle for the red ribbon aboard CALL ME RUTH, completing the jump-off in a time of 41.628. Third was Kahle aboard PYRENES DE LOUZES in a time of 49.146, followed by Desiderio taking fourth aboard AMINKA in an eight-fault time of 39.949. Mealiff would round out the top five aboard UNDIAMS DE VARENNE in an eight-fault time of 41.019. Michan and REDMOND soar to a first place finish in the $25,000 SmartPAk Grand Prix. On Saturday, Peter Leone and LS DONNER took home the blue ribbon in the $10,000 Saugerties Steamboat CO. Jumper Classic, finishing the jump-off in a time of 42.000. Leone would return to the winners circle to also claim the fifth place ribbon aboard CASCAVAL Z in a four-fault time of 41.463. Jumping to a second place finish was Kelly Tropin aboard DON’T STOP O, crossing the finish line in a time of 42.250. Mary Manfredi would take home third place honors aboard EXCELLENT in a time of 44.072, and Judy Garofalo Torres and her partner CHANEL ONE would secure fourth place in a time of 46.262. Securing the blue ribbon in the $2,500 Milea Auto Group M&S/NAL Children's Jumper Classic was Anna Perlow aboard ELLIOT VAN HELLEAT in a time of 33.568. Stefani Gorman and SHEARSHA RONIN top the field in a time of 38.415 in the $2,500 Pyranha Jr/A-O/Am 1.20m Jumper Classic. Taking home the blue ribbon in the $5,000 Summit Joint Performance NAL Jr/A-O/Am 1.30m Jumper Classic was Kelly Tropin aboard LUFTZAUBER in a time of 40.497. Michan and REDMOND claimed their third win of the week in the featured $50,000 Horseware Ireland Grand Prix on Sunday afternoon. Five exhibitors would return for the jump-off, all aboard very competitive horses, and this dynamic duo topped the field by more than a second, finishing in a time of 45.416. 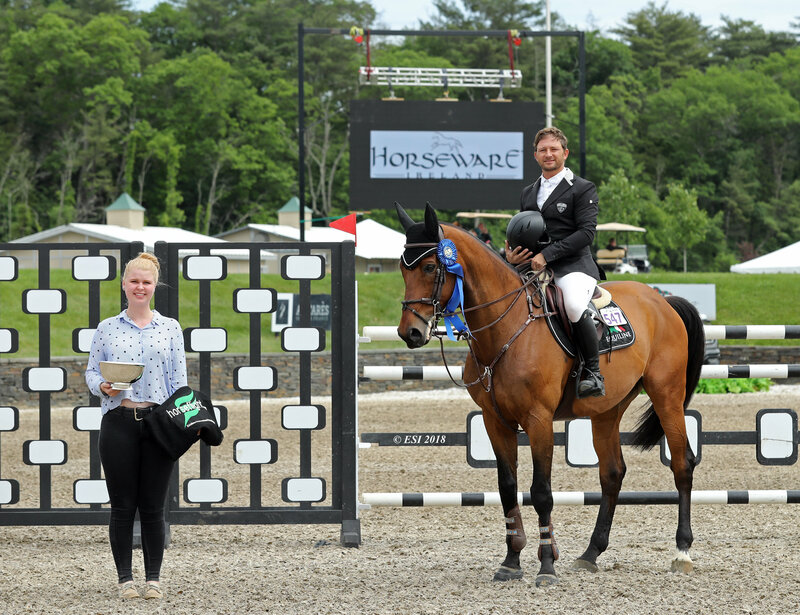 Alberto Michan climbed to the top of the standings in the $50,000 Horseware Ireland Grand Prix aboard REDMOND which makes three wins at HITS-on-the-Hudson II. Babington and CALL ME RUTH would take home the red ribbon in the Grand Prix, crossing the timers in 46.573. Kahle and EPEIOS would finish third in a time of 51.650, followed by Saugerties resident, Heather Caristo-Williams and QUI VIVE DES SONGES Z in a four-fault time of 48.078. Rounding out the top five in an eight-fault time of 47.917 was Pablo Mejia aboard EL PACHO. Hunters joined us in the Grand Prix Ring for the $5,000 Devoucoux and the $1,500 Platinum Performance Hunter Prix. Both Prix are qualifying classes for the HITS Championship which takes place right here at HITS-on-the-Hudson in September. Hannah Isop was successful with both of her mounts, as she rode home to first and second place in the $5,000 Devoucoux Hunter Prix. Isop took the win aboard BELIEVE, scoring a 84 in Round One and 86 in Round Two, for a combined score of 170. Just one point separated Isop’s first place mount from her second. With a two round total of 169, Isop would be awarded second place with RED RYDER, leading Round One with an 86 and receiving an 83 in Round Two. Kahle would go from the Jumpers to the Hunters to take home the third place award in the Hunter Prix aboard DOMINGO, with scores of 85 and 83 between her two rounds for a combined score of 168. Hannah Isop takes home first and second aboard BELIEVE and RED RYDER in the $5,000 Devoucoux Hunter Prix. Junior and Amateur riders also had their chance in the spotlight Friday afternoon as they competed in the $1,500 Platinum Performance Hunter Prix. Topping the field with a combined score of 164 was Allison Cederberg aboard ZERO TOLERANCE. Cederberg scored an 81 in the first round and an 83 in the second to secure top honors in the qualifying class. Kelsey Scully and her partner WAHLBERG would receive second place honors with scores of 80 and 83 for a two round total of 164. Rounding out the top three in the class was Alexandria Desiderio and MEMPHIS who received a score of 83 in Round One and 79 in Round Two for a combined score of 162. 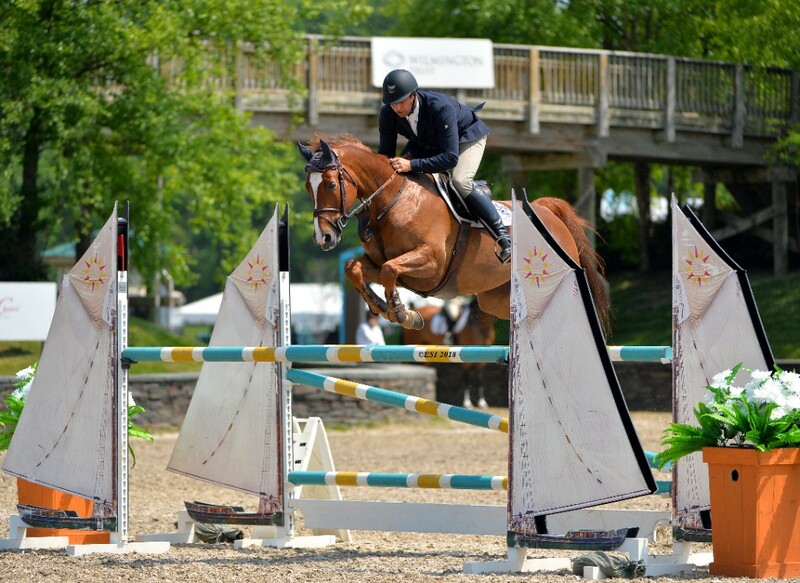 Join us back at HITS-on-the-Hudson for Week III of show jumping competition featuring the first of three USHJA International Hunter Derbies. Jumpers can look forward to the $50,000 Purina Animal Nutrition Grand Prix. For more information on upcoming events, visit hitsshows.com.